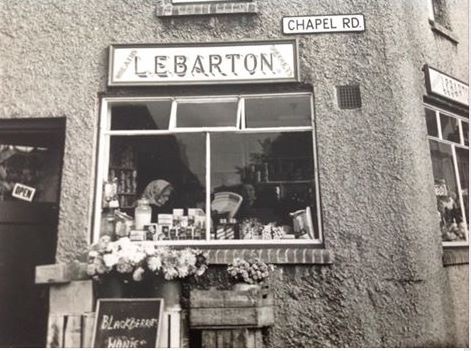 Len Barton kept the greengrocer’s shop in Chapel Road / High Street. He started it in 1948. It had originally been a butchers shop. 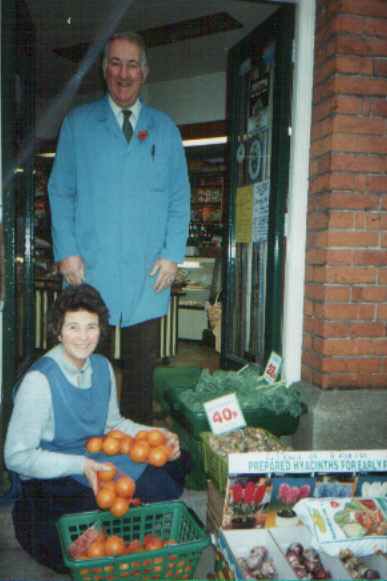 In 1968 his daughter Pat who by then had married Gordon Green in 1958 and who had been working in the shop decided to take over the business when Len was diagnosed with angina. Two years later, in 1970, Pat and Gordon had the opportunity to acquire the shop across the road, on the corner of the High Street and Phillip Road. They closed this shop in 1998. Sadly, Gordon died in 2002. Gordon’s father was Edwin Green who ran the fish and chip shop in East Street. People coming to live in Wivenhoe during the 70s, 80s and early 90s got used to seeing Pat & Gordon Green amongst the fruit and veg of their shop, Barton Stores, situated on the corner of High Street and Phillip Road, Gordon was also a common sight travelling around Wivenhoe in his delivery van. He had a reputation for his kindness and doing unsolicited small favours for people. Gordon would travel early to Spitalfield to buy stock, or would source locally, so that you could always buy wonderfully fresh produce at Bartons. He was always busy and ever cheerful; a real character and someone who, for many people, was the epitome of the spirit of Wivenhoe – solid, down to earth and with a twinkle that suggested he could enjoy a good party. Sadly, Gordon died 21st May, 2002 aged 69. Len Barton was also someone who was the epitome of Wivenhoe traders. Everybody knew and liked him. He was also a special constable for many years. He was born in the London Borough of Kensington and Chelsea on 4th March 1911 and died in September 1981 aged 70 years. This page was added on 23/12/2016.